Country home and land for sale in Willow Springs, Missouri. 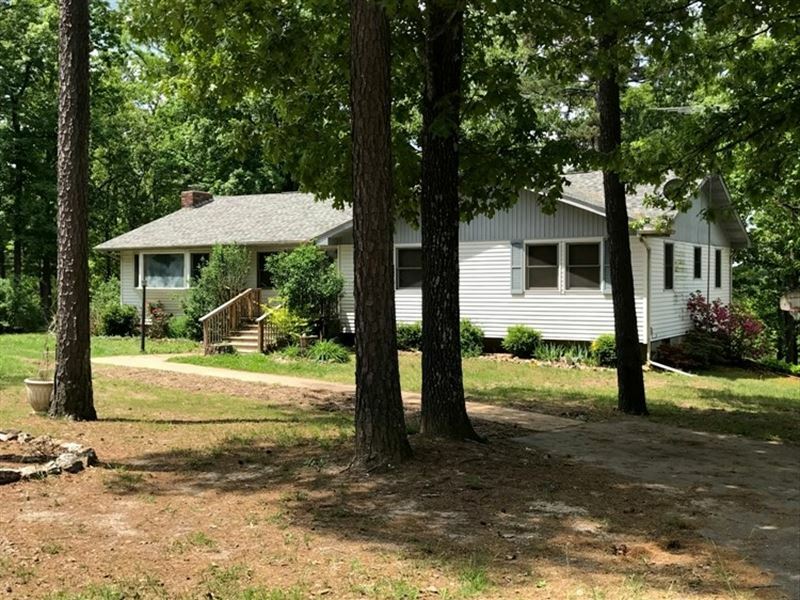 This spacious 3 bedroom ranch on 8 mostly wooded acres offers plenty of room to expand in the full, unfinished walk-out basement. Custom brick fireplace insert with blower in the living room. Custom oak cabinets, breakfast bar, glass-top range and built-in pantry shelving in the kitchen. Thermal windows with custom blinds. Tile, laminate and carpet flooring. Inviting deck in back, overlooking the stocked pond. 2 raised bed gardens. Blacktopped driveway. Located on a paved road and just minutes to town. Contact United Country for more information about this Howell County, Missouri property for sale. .